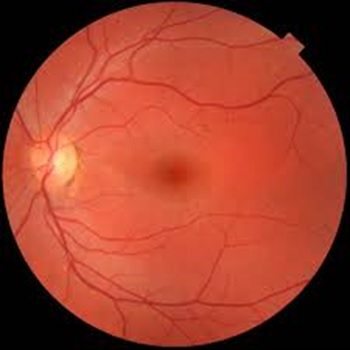 Digital Retinal Imaging (DRI) provides us with a scan showing the back of the eye, including structures such as blood vessels, the optic nerve, macula and retina. It helps your optometrist detect and monitor common eye diseases such as glaucoma, diabetic ocular disease, hypertensive retinopathy and macular degeneration. What Is Involved In The Procedure Of Taking A Retinal Imaging? The procedure is fast, painless – its simply a flash of light, just like normal flash photographs. In most cases, no eye drop instillation is required. Why Should I Have Retinal Photograph Taken? Retinal Imaging shows the exact health status at the back of your eyes at that moment in time. An image of the retina is always a better clinical record compared to traditional writing and drawings. This means that any subtle changes at the back of your eyes may be detected at an earlier stage if you have a retinal image taken regularly. How Often Should I Have A Retinal Image Taken? We recommend you have a retinal image taken at least once every two years with your regular eye examination. However, your optometrist may recommend having this done more often if there are any conditions that require more regular monitoring, such as a family history of glaucoma, diabetes and macular degeneration. A retinal camera is a sophisticated piece of equipment that is not readily available. As such, there are higher costs of operation and regular maintenance. However, the benefits of having a retinal image often outweigh the costs. Having an image of the retina enables changes in the retina to be tracked easily. The retinal image can also be kept by the patient and used by other healthcare providers such as ophthalmologists if necessary.